Avon Fire & Rescue Service (AF&RS) will be supporting the 50th anniversary of St Pauls Carnival following its three-year hiatus on Saturday (07/07). The Service will have its own stand on St Agnes Park where staff will host a variety of games, raise awareness around AF&RS’ career of choice campaign and provide home safety advice. Firefighters will also be on hand to talk about what it is like to work as a firefighter and how anyone should consider joining. Recruiting more staff from Black and Minority Ethnic (BME) backgrounds is a high priority for the Service, with just four per cent of current staff from BME backgrounds, compared to nine per cent of our service area. AF&RS is hoping to make people aware that being a firefighter is not just about fighting fires but also being a leader within your community. We spend more and more time out in the community raising awareness, conducting home fire safety checks and communicating fire prevention and other safety messages, all of which a diverse workforce helps to deliver. Simon Shilton, Assistant Chief Fire Officer, said: “St Pauls Carnival is a fantastic event that touches the heart of so many communities. “We are proud to be a part of it this year and showing just how far the fire service has come in supporting every community across the area. Over the last two recruitment campaigns, 24 per cent of new wholetime firefighter recruits were from BME backgrounds and eight per cent of all new staff recruited over the past year have been BME. Enrico Temple, a Firefighter from Yate Fire Station on secondment with the Diversity, Inclusion, Cohesion and Equality team, said: “It’s always great to welcome new people to the team and to see more diversity amongst staff. “We want the community to know we are there for them, but also to join us and help be a role model within the community. The service is built on people from all walks of life and we want to see that continue and grow. Alex Kohnert, Inclusion and Diversity Manager at AF&RS, added: “We are continuing to engage with BME community groups in order to make sure we are advertising all our roles as widely as possible. There will also be a fire truck on hand for children and members of the public to explore, showing how it is now more than just fires that AF&RS deals with on a daily basis. Children will have the chance to try on breathing apparatus equipment, have a go at hose running and a test their skills in a logic based game. St Pauls Carnival also provides firefighters with the opportunity to offer safety advice to those they might not normally cross paths with or those who may have home safety concerns. 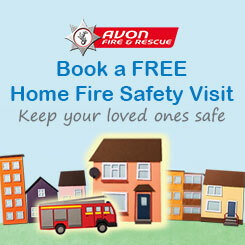 Anyone with questions or wishing to book a home fire safety visit can visit the stand for advice.